This week in JBoss is like getting that extra thick Sunday edition of the newspaper. It is full a not just a weeks worth of JBoss news, but has piled up over two weeks worth of fantastic community activities, events and articles for you! This week I have a surprise developer that is not often seen roaming outside of his natural environment. He is a newer contributor to JBoss technologies but has been a long time contributor to Apache projects and is famous for his work on Camel projects. He was interviewed in detail this last week, so here is Claus Ibsen! Kenny Peeples reports on a Fuse Service Works meetup in Madrid where they collaborated on all manner of things after which he headed to the USA where JBoss FSW was showcased at the Atlanta JBug. A fascinating webinar series on Big Data that features JBoss Data Virtualization and Hortonworks is coming, don't want to miss these. A well attended webinar showing you how to hit the ground running with BPM starters kit and 2 essential things you need to see from this webinar. Find out how you can edit Switchyard configuration files as provided by the official documentation. On top of this there is a new integration demo that is showcasing some of the possibilities when using JBoss BPM Suite with JBoss FSW, including a video tour in setting it up and governing your BPM artifacts with FSW S-RAMP and DTGov (design time governance) tooling. A cross post on integrating Infinispan as a caching solution in your web apps. There were more posts in the coming Hot Rod Remote Events functionality by the Infinispan team, this one showing how to receive events. Also here is a wicked cool article describing how to integrate Infinispan with Apache Camel to ensure your messages are not processes twice in a cluster. If you are worried about cluster failures, check out this article on partitioned clusters with Infinispan. Here is a short overview of the new in-memory scheduler coming in the next release of ActiveMQ. Excellent story around how to use EAP in a continuous delivery environment, followed by Thomas's view on continuous delivery and devops. Also a new tech tip is available around using WildFly, configuration tips, a camping success story, one on compiling, using Openshift and another showcasing the older java 6 demo around Ticket Monster. It might have escaped your attention, but the various Drools project mailing lists have been moved, find out where in their article. 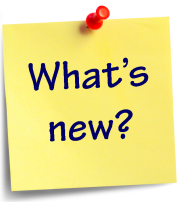 Also this week a flexible example set was published that now works with the latest releases of the Drools projects and the JBoss BRMS products as they can be integrated into the Fuse products. Finally, part four of the Drools series on Bayesian Belief Network Integration is out. 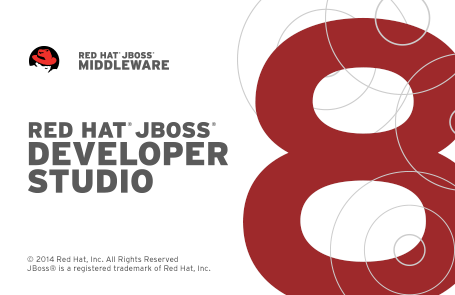 There is also an ultimate starter kit published for both JBoss BRMS and JBoss BPM Suite products. Mark Proctor describes the background on making the Drools project pluggable for a Bayesian system. A call for action by the RHQ team, if you could provide feedback on alert definition templates here. Welcome to another Week in JBoss, a summary of all that has been happening around the JBoss Communities. Despite many people being on vacation we still manage to discover many interesting articles for you to read, letting you catch up on the progress that is being made within the projects. The performance of a ModeShape repository often depends on the hierarchy of the nodes and the distribution of the data through those nodes. Deciding how best to structure the repository can often be difficult, with no real hard and fast rules to rely on, but a good understanding of the performance implications of your choices will help you to tune your structure and get the best out of your repository. Infinispan has been providing client access to remote grids using the Hot Rod Protocol since 2010 but, until Infinispan 7.0, it was not possible for those clients to receive and react to events being generated within the cache. With the introduction of this capability the Infinispan team have begun a series walking you through these events and showing you what can be achieved using this functionality. The Ceylon team are on the brink of releasing Ceylon 1.1 and have published a progress report detailing the work and priorities that have driven this release over the last six months. To coincide with the upcoming release Gavin King and Stéphane Épardaud have planned a tour of JUGs along the East Coast of the USA. If you are in the area then stop by to learn more about Ceylon and take advantage of this opportunity to ask questions from those who design and build the language. Drools 6.2.0 will include the new Drools Execution Server, a war that will allow you to host the execution of Knowledge Bases on a remote server and provide access through REST APIs. Edson has recently created a video demonstrating the current state of this development work, available in Drools 6.2.0 Beta1. The Call for Papers is now open for this year's JUDCon event in São Paulo, Brazil and will be accepting submissions until 5pm August 22nd 2014 São Paulo time. Successful speakers will be notified by August 29th and the event itself will take place on September 26th. Eric Schabell was recently in the UK where he presented workshops on BRMS and BPM to the London JBUG, covering rules, domain specific languages, decision tables, rule flow and bpm processes using task forms and a data model. The Errai team have announced three releases on different streams, Errai 3.1.0.CR1, Errai 3.0.2.Final and Errai 2.4.5.Final. The Arquillian team have announced two releases, Graphene 2.1.0.Alpha1 and Recorder 1.0.0.Alpha4. The AeroGear team have announced the second beta of their 1.0.0 release of the UnifiedPush Server. The Infinispan team have announced the release of Infinispan 7.0.0.Beta1. Teiid is certainly a weird lizard, and very few people knows about it, but thankfully to the Emmanuel Bernard and the JBoss Asylum team, there is now a full podcast dedicated to the project, where Steve Hawkins and Ramesh Reddy explain to you in details what Teiid is all about. This comes as a perfect opportunity to learn more about the product as the team just released 8.9 alpha 1. Time to turn your numerous and complex databases into gold and build the data you want ! In case you never heard of the Immutant project, know that it's an application server for Clojure, and it's built on JBoss AS7. While the 1.1.4 release is a strictly bug fix release, it's most likely to be the last release of the 1.x branch, and therefore a perfect opportunity to start discovering the product. For those of you who like to look forward, rest assure the Immutant project is not going to stop there, and the team is now going to focus on The Deuce, the nickname for Immutant 2, which should be based on Wildfly (or EAP), but more importantly remove the current container to turn the framework into a simple librairy. Eric S. Schabell just announed the launch of the OpenShift Accelerator Program, an effort to both regroups initiative around the OpenShift technology, but also help people foster their own. So if you want to learn more on OpenShift, or contribute to the community by offering events, getting started or demos, checkout their website ! Also, Eric took the opportunity, while meeting with Kurt Stam, founder of S-RAMP, to build a demo integrating it with DTGov and BPM ! Yesterday, Bill Burke announced the release of Keycloak 1.0 Beta 4, which is quite an exciting news, as this means that 1.0 final is on the way, and should be released mid September. In case you don't know it, here is what Keycloak is about : integrated SSO and IDM for browser apps and RESTful web services. It's built on top of the OAuth 2.0, Open ID Connect and JSON Web Token (JWT) specifications. 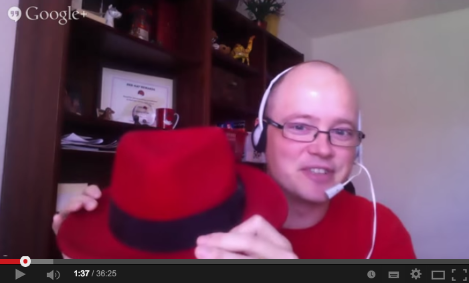 This week in JBoss (1st August 2014) - Containers and JUDCon and Mobile ... Oh My! This week has seen a continued push around Containers (Docker) and JBoss, with Mr Docker Marek Goldmann writing about running Docker as systemd services. There are some really nice examples in the entry too. We had a one-day JUDCon event a few weeks back and Andrew Rubinger has written up a piece about it as well as linking to a number of videos recorded at the event. It certainly sounds as if this event went well and maybe we'll plan some other one-day events like this in the future! If you attended and have written up your own experiences (good or bad) then let us know too so we can all learn from what worked and what didn't work. Congratulations to the Mobile team for the release of Beta 1 of the Unified Push Server! Not strictly just mobile related, but Max has also blogged about JBoss Tools 4.2 Beta 3, which contains support for Cordova and OpenShift, to name but two! In addition to JUDCon, there have been several other community-oriented events happening or announced, including the JavaForum in Stuttgart, the ATL-JBUG meeting coming up in August with a focus on Fuse Service Works and Docker (more containers). The various project teams have been hard at work as usual. Vladimir writes about the performance of Map/Reduce in Infinispan 7.0.0; Bilgin discusses how people can write components for Camel; John has a lot to say about starting an ActiveMQ project in Eclipse and with Maven; and both Bela and Tristan have different things to talk about around large scale data grids, with Bela showing off the new record 500 node JDG cluster and Tristan cross-posting a link to Navin's video on cross data centre replication with JDG. And finally for this month's roundup, we've also had a bit of an IoT theme. Kenny Peeples writes about an article over on DZone which discusses IoT and mentions JBoss A-MQ; and yours truly discusses Enterprise IoT.